SermonAudio.com | SermonAudio Tip: Embed Everything .. Ultimate Embed Code Editor! Embed Everything .. Ultimate Embed Code Editor! Update 3/16/18! The embed editor has been refreshed yet again with an entirely new interface which is much easier to navigate. Some new features include SEARCH within the sermon browser, AUTO-HEIGHT for the widget, and so much more. Enjoy! 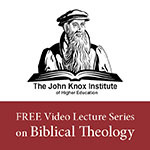 We have an entirely new set of sermon embed codes that have been rewritten from the ground up! You can now grab the HTML codes to embed sermons, videos, webcasts, and a fully-interactive sermon browser on your own website .. all from a single interface. It's the ultimate embed editor! 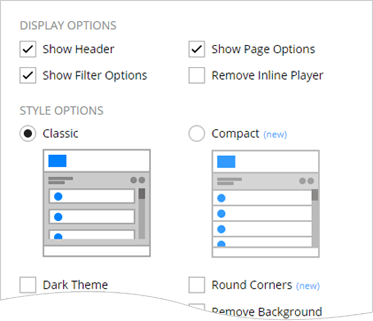 To get to the embed editor, simply look for the embed button on any sermon page, sermon player, webcast player, or broadcaster homepage. We guarantee it's the easiest embed editor you've ever used! We've worked hard to get our new sermon embed widgets to not only work well, but also to look really good. We have a team of perfectionists that strive to get every pixel in its proper place. You might say that we are overly concerned with details (OCD?). Anyway, it's our broadcasters who are the ones who benefit from this obsessive attention to detail with some of the most beautiful sermon embed codes you'll find anywhere! Just imagine having your sermons look this good on your own website. With most of the same elements as our own site's sermon player, it's almost like a piece of artwork. Delivering both form and function. But it's not just about good-looks. Our sermon embeds are extremely functional as well. 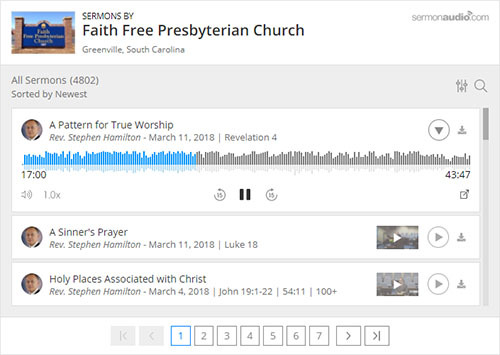 The single sermon embeds, for example, do more than "just" embed a single sermon; they can also automatically display the newest sermon by broadcaster, speaker, series, category, etc. And the sermon browser is so fully-functional that it can almost double as its own standalone sermon site! It allows users to display, page-through, and filter all of your sermons with a single line of copy-and-paste! Have you seen a more beautiful sermon browser? It's almost like magic, but, really, we're not proud, we're just proud of our team's hard work. Dynamic live webcast integration and notification. We not only have a separate embed code for the live webcast widget, but all sermon embeds have webcast integration built-in! This simply means that when a webcast goes LIVE for your account, a notification appears to give your live events as much exposure as possible. No refresh necessary as it will automatically appear and disappear! All widgets are customizable including the option for a light or dark theme. You can turn on or off elements on the widget and adjust the width. In addition, all widgets are completely responsive and work great at any size or on any platform. Click here to see a live working example! I am having problems viewing any sermon videos. It say no compatible source was found for this media. However if a sermon is Live, I can view. Help please! It would be great if we could add a facebook live feed to the streaming options. The new embed code is much improved, but the icon for downloading the PDF is too easy to miss relative to the previous version. The previous version grouped the PDF adjacent to the audio icon, so not only has it moved, but it's now much more subtle visually, which I actually like, but for the user who had been accustomed to looking for a red icon with the letters PDF next to it, next to the audio link, I'm afraid they'll assume we've stopped uploading PDFs. Thank you for offering this. I'd like to use it, however, the embed button is not showing in my iPad browser. How can I find it? This is great. Looks really nice. The only thing I'm missing though is the search feature that used to be there. Is there no way to bring back the keyword search feature from this embedded link page?